1. Browse to Central Administration, under Application Management, click on the Manage web applications. 2. 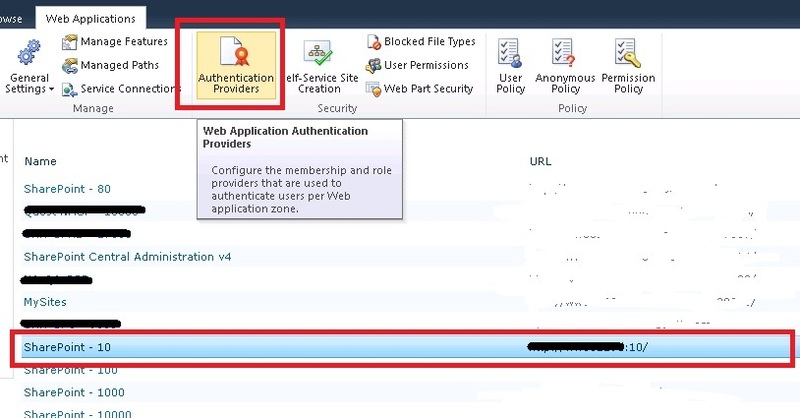 Select the web application where you want to enable anonymous access and click on the Authentication Providers. 3. Click on the Default zone. 5. 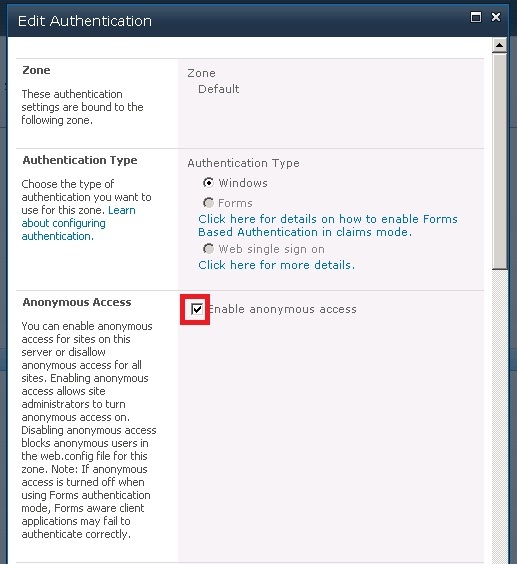 Browse to Web Application Management click on the Anonymous Policy . 7. 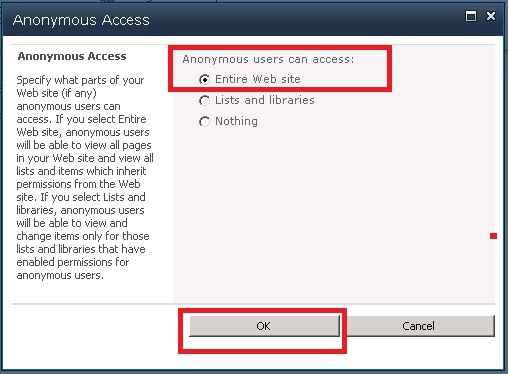 Now, the web application is set for anonymous access. Now,navigate to the top level site collection for the web application. Click the Site Actions -> Site Settings. Under Users and Permissions click Site permissions. 8. 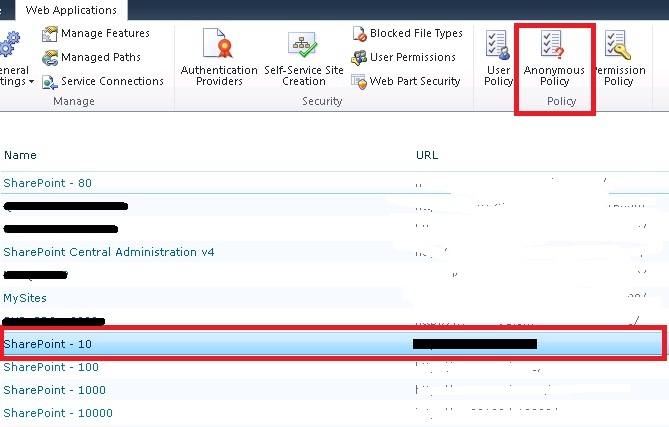 Under Permission Tools, click Anonymous Access and set the permissions to Entire Web site and click OK.
Now you would have your site collection to be accessed anonymously.